Yeah. Versatile actor, sort of hot, cool Brit accent. 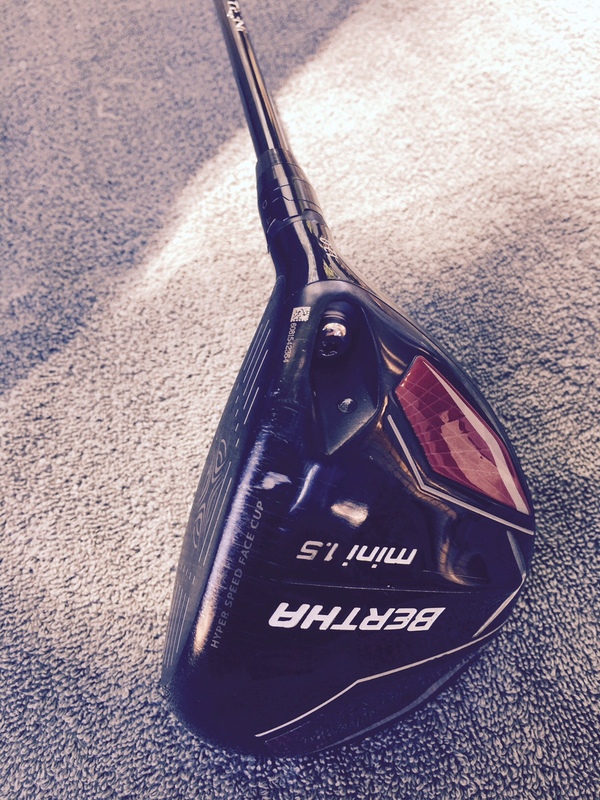 As for the golf club, it’s sharp, hot black, with red Callaway accents. It was in play for all the driving holes on a Dawn Patrol niner this morning, all by myself, with therefore no questions asked or any need for clever answers. I tee it pretty low, and I never get a lot of air under it, b ut when struck well the ball bores straight and rolls out, even on the dewy grass of the golf course in the shadow of the brewery. At 240cc, with 12 degrees of loft (adjustable to 14), the Mini has a clean, lean profile. The short game is the scoring game, they say, so I wasn’t scoring this morning, for the usual reasons, despite being generally good off the tee. I didn’t score until No. 9, where I followed a pulled tee shot, just inside the red stakes along the river, with a pured 4-wood and a wedge in – and one putt, for birdie. Which, for me, doesn’t come around every day. And, oh, the moon. Low and large in the brightening western sky, barely two hours past full, a leftover morning moon and sneak preview of the evening moon, tonight’s still-early waning of the second full moon of July – a Blue Moon. Which, they say, doesn’t come around every day. I’ll drink (a Blue Moon) to that. With a goddamn orange slice, I hope.